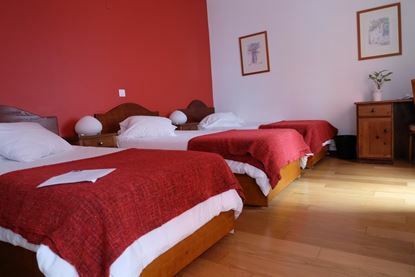 With a central location in the historic centre of Ponta Delgada, the hotel, world-class restaurant, terrace and local bar, are only a few minutes by foot from many of the shops, activities and cultural institutions of the city centre, such as the Carlos Machado Museum (Museu Carlos Machado), the historic parochial church of São Sebastião (the Matriz) and the iconic city square (Praça Gonçalo Velho) and gate (Portas da Cidade) of Ponta Delgada. Our spacious air-conditioned rooms boast all the amenities necessary to make your trip relaxing, as well as making it a hub for your island adventures. 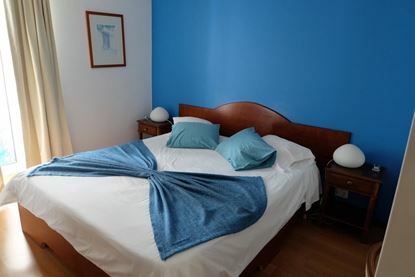 Each room has large windows, hardwood/parquet floors and a private bathroom, with entertainment features and access to communication services (such as television, Wi-Fi, direct telephone lines). 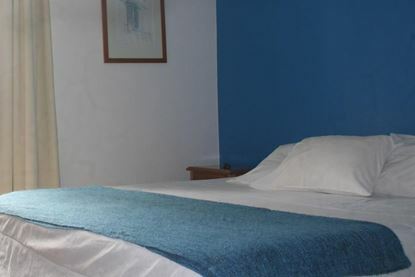 Our staff provide room and laundry services, personal hygiene products for your convenience and courteous 24 front desk assistance that you expect of any visit. We serve a buffet breakfast daily that includes regional products, while our world-famous restaurant “O Alcides” serves both fresh meat and fresh local fish and seafood. João Paulo II International Airport is less than 10 minutes by shuttle service from Hotel Alcides in the heart of Ponta Delgada. 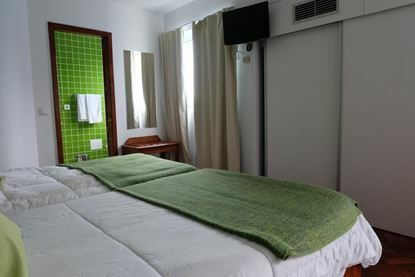 The hotel is also located eight minutes by foot from the city’s open-air municipal or natural pools, while conveniently 15 minutes by shuttle from the sand beaches of São Roque. Copyright © 2019 Alcides.pt. All rights reserved.